Style: 12 pieces of round shaped tiny Turquoise gem inset on the gold filled bar by wire. 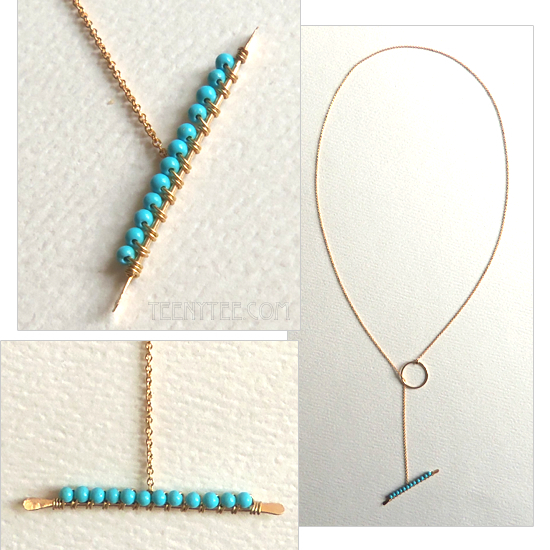 Gold fill over sterling silver chain lariat. 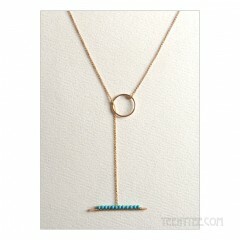 Size : Gemstone bar 1.5" length, 22" gold filled chain with gold filled circle ring. Chibi Jewels gold fill jewelry is 14k gold filled over sterling silver. Please know your correct Ring Size before order. Box is not available right now but we ship this item packaged in a pouch & ribbon.